Zirconia Discs - Lab Depot ltd.
ZR PRO: Anterior Esthetics with Posterior Strength! ZR Pro might be the one zirconia material you use for almost everything. Its natural, vital esthetic appearance combines with very high flexural strength of up to 1,140MPa to make it ideal for most applications. 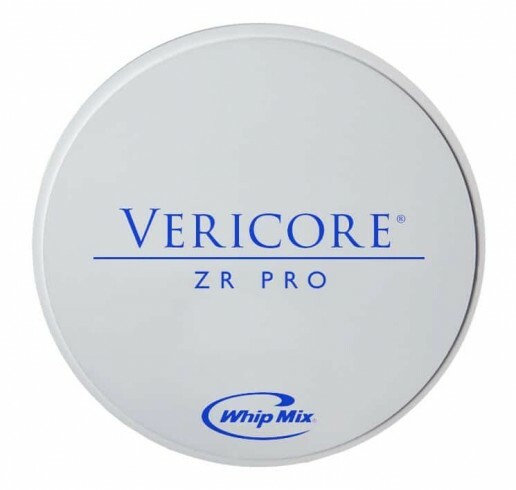 Whip Mix offers a wide variety of zirconia in high translucency natural white and pre-shaded discs (in Vita Classic shades A1, A2, A3, BL, B1, and B2) for anterior and posterior placement. 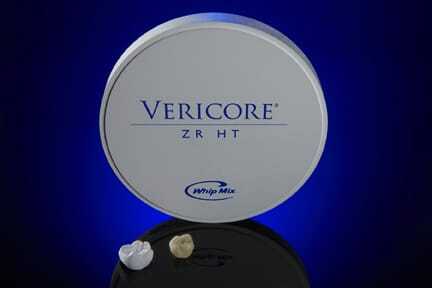 Use Vericore ZR HT and ZR HTX for your substructures and monolithic, high-translucency, full contour needs. ZR HTX is perfect for full contour anterior crowns. It mirrors the translucency of lithium disilicate and combines it with a higher flexural strength. Create a monolithic anterior crown or 3-unit bridge and make the patient very happy. 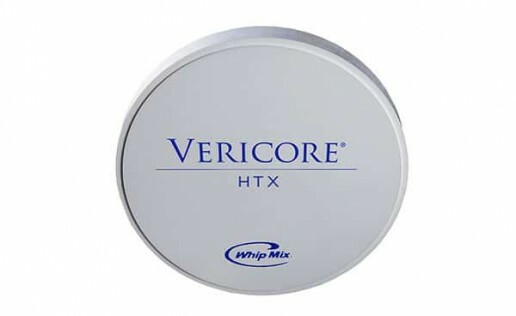 All HTX discs are 98mm in diameter with a collar. ZR HT is the ideal material to use in a posterior application due to its extremely high strength and natural appearance. It may be made as a substructure and veneered with porcelain or designed and milled as a full-contour, monolithic crown or bridge. All discs are 98mm in diameter with a collar.